When you are looking for some deluxe packaging for your foods, this paper tube packaging box, with an imitation of leather style, can be an ideal choice. The material of this box is strictly chosen as to realize at the same time a good protection as well as a superb decoration. Made by 350g black cardboard paper, on the surface, this box has leather paper that feels like real leather with tiny granules. Other than all of these, a band of silk is applied as decoration and you can also print your logo on it with golden hot stamping printing technologies. When customers see this package, they will know at once that what’s inside is some kind of high grade food that is worth the price. 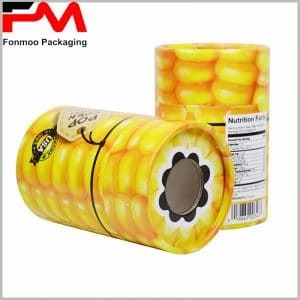 Contributing to tube packaging box for years, we are able to respond to any of your needs of customization. If you are interested in developing your own package based on this model, just don’t hesitate to tell us your needs. We ensure you a good condition with advantageous price to bring you the best food tube packaging box with leather imitation decoration.